PennDOT is the agency in Pennsylvania that oversees all aspects of transportation, including camper registrations. 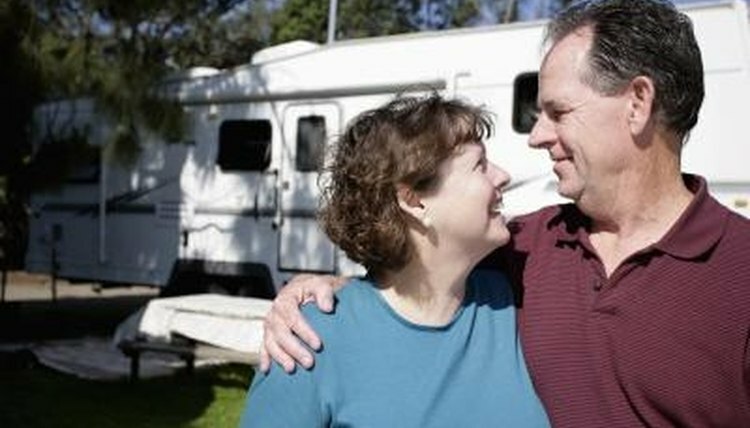 If you are in the market or have recently acquired a new recreational vehicle, numerous agents are authorized by PennDOT to assist you in obtaining a title. Contact a PennDOT agent. The dealer from whom you purchased the camper is most likely a PennDOT agent approved to prepare title work for your new camper. However, if this is not the case, a complete directory of PennDOT agents can be found on the PennDOT website. Provide required documents. When you visit the PennDOT agent to obtain the camper title, bring your driver's license or Pennsylvania photo identification, You will also need to present a manufacturer's certificate or statement of origin that is provided by the camper dealership, as well as your insurance identification card. Pay registration fee. Camper title fees are based on the size of the recreational vehicle. For instance, camper vans are $36 for full-time registration. Motor homes that weigh less than 8,000 pounds are $45, while those in excess of this weight are $63 to $81. The fee is lower if you are just using the vehicle seasonally. Registration can be obtained on a monthly basis for seasonal use with rates as low as $3 for camper vans and $6.75 for large motor homes. Obtain the title. When your application has been completed, the agent will submit it to PennDOT, which will prepare a title and mail it to you. Keep this document in a safe place. After you obtain the initial title, you will receive a renewal application each year in the mail. Peacock, Kelli. "How to Get a New Camper Title in Pennsylvania." , https://legalbeagle.com/8428439-new-camper-title-pennsylvania.html. Accessed 24 April 2019.